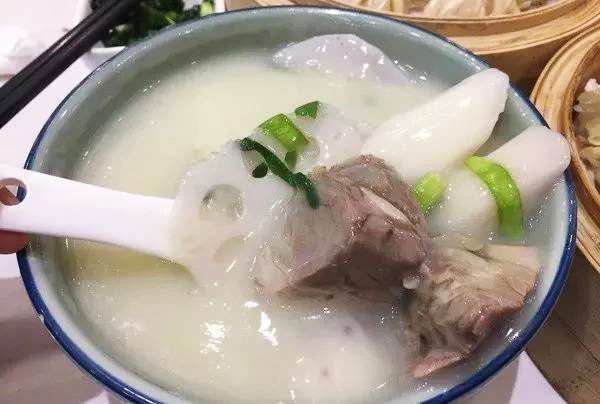 Shanxi or Jin cuisine may not be one of the most well-known styles in China, but it does offer an authentic taste of traditional northern Chinese cuisine. This style is characterised by its saltiness, with a touch of sourness endowed by the locally produced Shanxi aged vinegar. While it lacks the complexity of flavours associated with other styles of Chinese cuisine, it more than makes up for it with its comforting rustic charm. From its flour-based delicacies to its hearty noodle soups, the signature dishes and snacks of Shanxi province are guaranteed to warm your stomach and your heart. The making, eating, and giving of Steamed Buns has been a tradition in Shanxi province for thousands of years. “Huamo”, the Chinese name for Shanxi Steamed Buns, literally translates to mean “flower bun”, as these tasty treats are so beautiful that they rival their floral counterparts. Think of them as flowers made of flour! These buns are typically only made for festivals or special occasions, since they require a great degree of care and artistry. Their deep cultural significance means they often play a focal role during these festivals, from being given as gifts during Spring Festival to serving as offerings for deceased ancestors during the Qingming or “Tomb Sweeping” Festival. 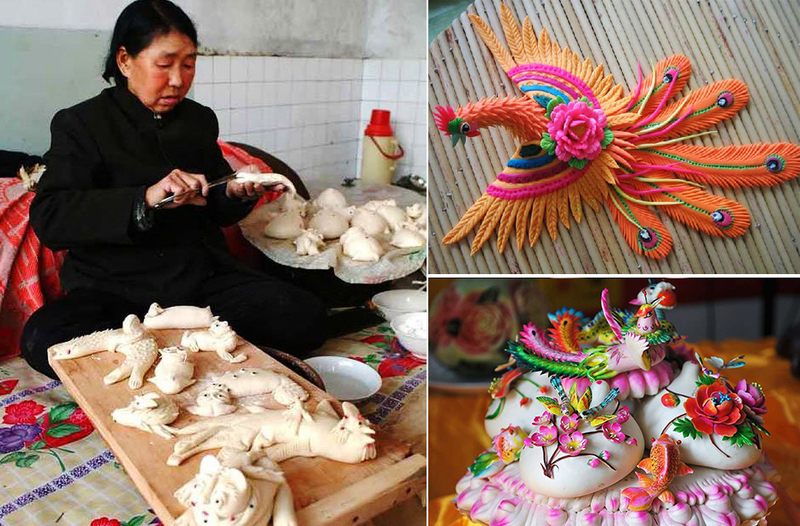 The dough is made simply from wheat flour, water, and leavening agents, but is moulded by hand into fantastical shapes, including flowers, animals, figures, buildings, items of clothing, and auspicious symbols. Dried jujubes form eyes or patterns and a rainbow of vegetable juices are used to add a splash of colour to these ingenious creations. Each bun can range in size from 5 centimetres (2 in) to over 50 centimetres (20 in) in size and can weigh upwards of 10 kilograms (22 lb)! In some cases, different types of steamed bun are reserved for certain people. For example, tiger-shaped buns are meant for young boys, while those in the shape of frogs are to be eaten by young girls. Maybe they’re hoping that one day their frog bun will turn into a prince! 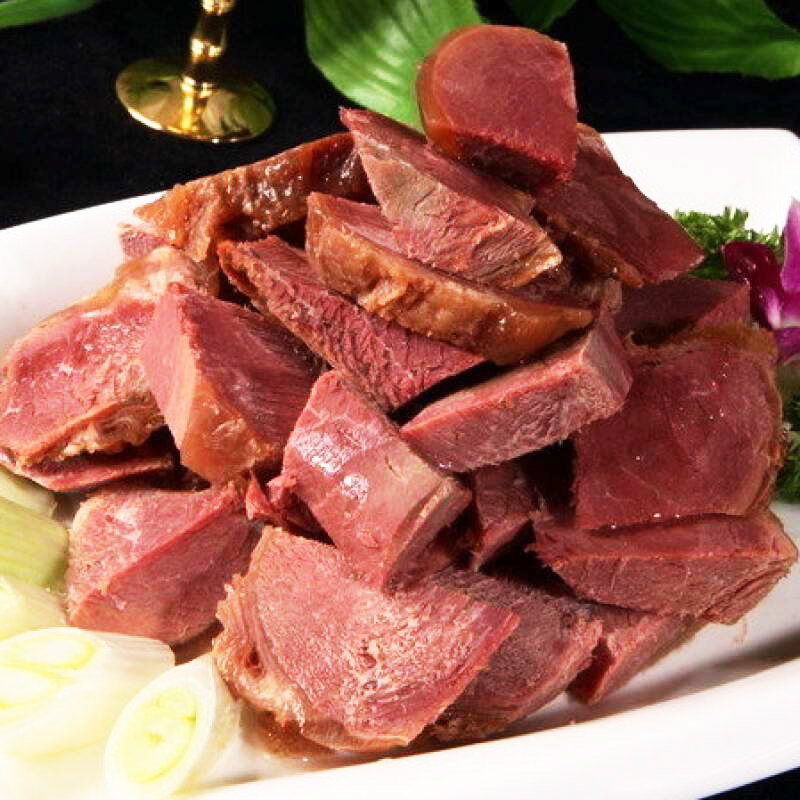 Since the Han Dynasty (206 BC–220 AD), Pingyao County has been producing its own succulent cured beef. This regional specialty rose to prominence throughout China during the Ming Dynasty (1368-1644) and was even demanded as an imperial tribute by the Empress Dowager Cixi during the Qing Dynasty (1644-1912)! Yet its prestigious status belies its rather humble origins. This meaty treat was supposedly created by a disgruntled and miserly butcher, who was unwilling to throw out a prime calf leg that had gone bad. Rather than throw the meat away, he rubbed it liberally with salt and boiled it in salted water. When he finally sampled the finished product, he was overwhelmed by how wonderful it tasted. For many years, the dish used to be made with beef that had gone off, but thankfully nowadays only fresh beef is used. The traditional way to make Pingyao Beef is to take either a calf’s leg or prime cuts of beef and salt it thoroughly. The meat is then stewed for a staggering 12 hours with no other seasonings, until it has turned a ruddy colour. In spite of being quite simply produced, the beef is said to have a rich aroma, smooth texture, and crisp taste that glances off the tongue. The long cooking process means that few people make Pingyao Beef at home, and instead choose to buy precooked beef from popular brands such as Guanyun Pingyao Beef. Packs of beef can be bought as souvenirs and a plethora of restaurants throughout Pingyao offer delectable dishes with this speciality as the star ingredient. In fact, it is considered so integral to the region’s culture that the city even boasts its very own Pingyao Beef Museum! You’ll be glad to hear that, despite its name, Fu Shan Brain does not contain any actual brains! It was named after the artist and scholar Fu Shan, who hailed from the city of Taiyuan and is believed to be the mastermind behind the dish. In short, you could say it’s his brainchild! It is actually a soup made from eight main ingredients: hearty mutton, nutritious lamb bone marrow, sweet molasses, potent rice wine, crunchy lotus root, rich Chinese yams, fragrant astragalus root, and spicy ginger. According to local belief, Fu Shan invented the dish during the Ming Dynasty in an attempt to cure his mother of a particularly nasty cold. Supposedly the remedy worked, and he imparted the recipe to a restaurant in Taiyuan so that others could benefit from its curative properties. Nowadays, the dish is enjoyed during the winter and is thought to ward off a variety of ailments caused by the chilly weather. Who needs a spoon full of sugar when the medicine already tastes this good! Taigu Cake, also known rather unappetisingly as “shaobing” or “dry cake”, is a type of pastry that originates from Taigu County. 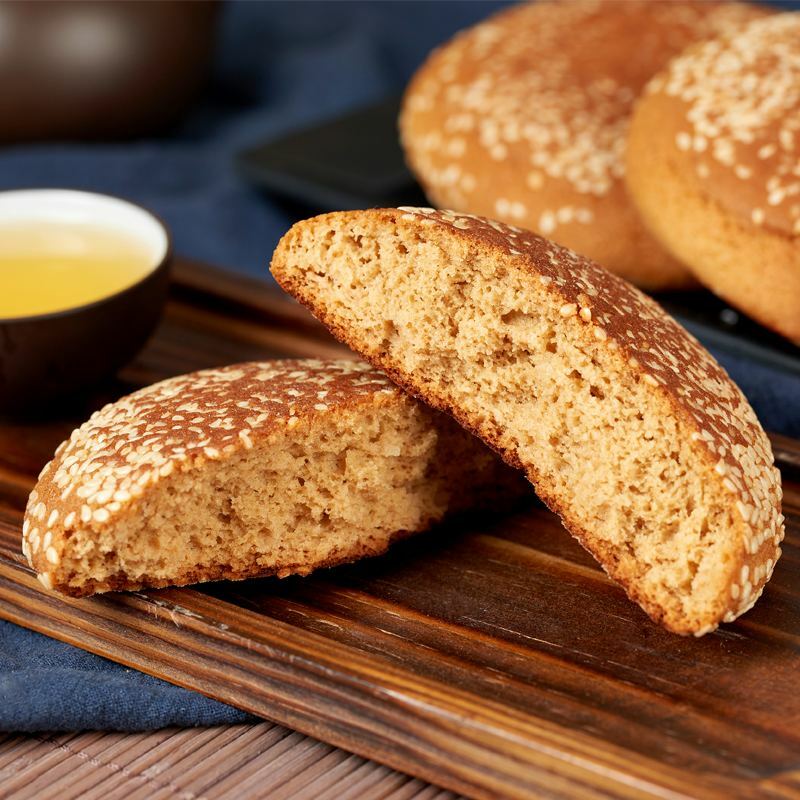 Each plump parcel is round in shape, light yellow in colour, and decorated with a smattering of sesame seeds. The cake is traditionally served cold and has no filling, but is beloved by locals for its sweetness and crispy crunch. It rose to prominence during the Qing Dynasty, when it could be found in cities as far-flung as Beijing, Xi’an, Tianjin, and Lanzhou. Nowadays, some vendors prepare their cakes with sugary sesame or red bean fillings, adding to the sweetness of this tempting treat.